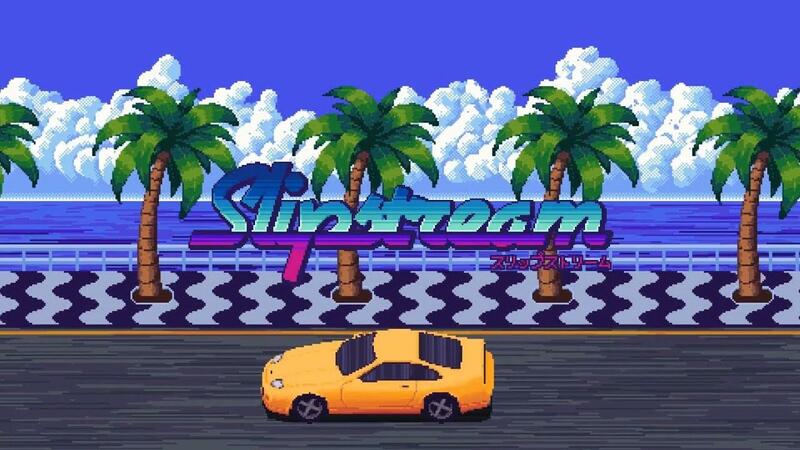 Now even more can enjoy another very good retro racing game, as Slipstream has screeched over onto GOG. This one is a little bit special, not only is it a true gem that feels like a classic with some upgrades, it was also developed on Linux too (specifically Ubuntu and Arch Linux) using Krita, Blender and GIMP for the graphics and Intellij IDEA CE for the coding! You can see some previous thoughts on it here. As a reminder, this is yet another game that was funded and put on Linux thanks to a Kickstarter campaign, which ran back in 2016. Authentic pseudo-3D game engine with 2D graphics, just like the glory days of the arcade racers. 20 Different tracks, set on a variety of exotic locations all around the world... and beyond. Local multiplayer up to 4 players! 5 Car models, each with its own specs and playstyle. Original soundtrack with 9 exclusive songs + you can add your own music. If you have fond memories of games like OutRun and other classics, it's absolutely worth a go. Find it on GOG here. Also on itch.io and Steam for those that missed it previously. Is it good? Some criticize it for being quite shallow. Shmerl Is it good? Some criticize it for being quite shallow. I didn't think so, but then I appreciate that not all games need to be a 50 hour exercise. It's very much like a lot of the classics, it's good and to the point and exactly what I expected from it. An enjoyable retro racer. I quite like it already, my only issue is in the mechanics, in that you have to drift around bends instead of turning normally (which may not be for everyone). The price is good though and a racing game on GOG is not something you get very often. It's somewhere in the range of mediocre and okay. I won't say it's shallow, after all it's an old school arcade racer. Those don't have the deepest mechanics. The drifting mechanic is not shallow, it's rather interesting as you have to plan your line. But I find the game itself is quite bland (perhaps this is what some criticize as shallow), it does not have as much identity and character as for example Outrun. Can't exactly tell why, but probably it's the track design/layout which is quite bland. Bought it already! It's a nice addition to my retro collection! It is like Lotus in '90 on amiga, with small tweaks for game mechanics (slipstreams and drifting). If you have nostalgia for retro - buy it, if not - it is just waste of money.